Creating and managing price lists, handling complex price calculations and estimates for specific products or services and producing accurate, detailed sales forecasts are just some of the many processes for which sales departments use Excel spreadsheets. The flexibility, familiarity and calculating power of Excel makes it an ideal tool for working through these processes. 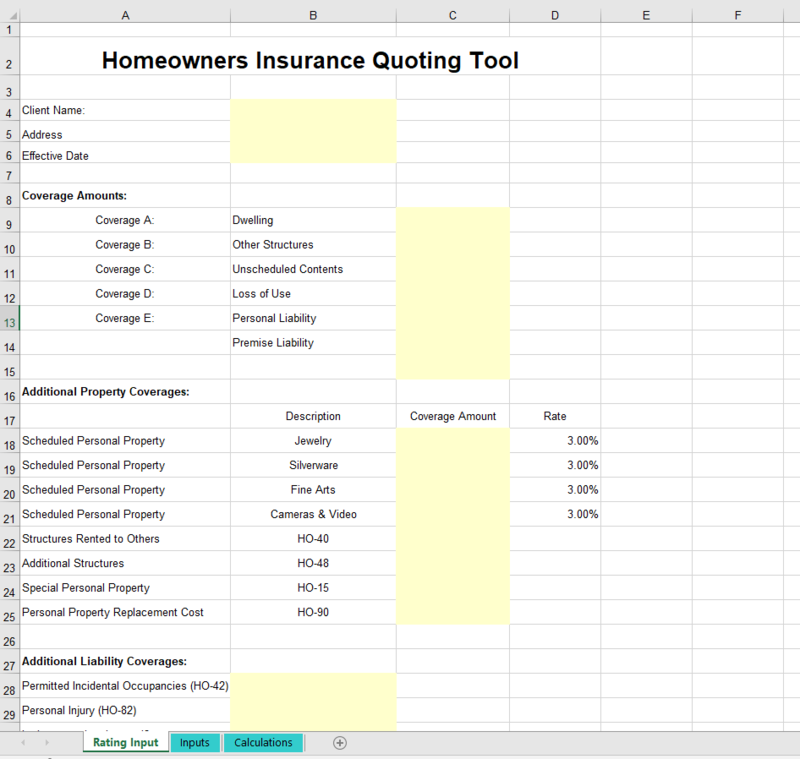 The application below is a live demo of the web application converted from an Excel based insurance quoting tool (screenshot above). It was created entirely on SpreadsheetWeb platform with no coding. It also produces a PDF quote document by pressing “Get Quote” button on the last page. Customer and quote data can be integrated with CRM systems like SalesForce, HubSpot, etc.